Version 1.5.0.1, a stable release, is now ready for download in the account manager. As some of you may have experienced by now, ore blasting bombs are a very useful tool that enables you to quickly mine large deposits. They were however practically harmless to the player, which was not intentional. This update makes them literally deadly if you are too careless. Unlike in Minecraft however, an explosion will not hurt you if you take cover behind a blast resistant wall. So in case of ore blasting bombs either stand behind a 2 block thick rock wall, or a 1 block thick wall at a distance of 5 blocks and you should be save. Feature/Fixed: Explosions hardly hurting players. 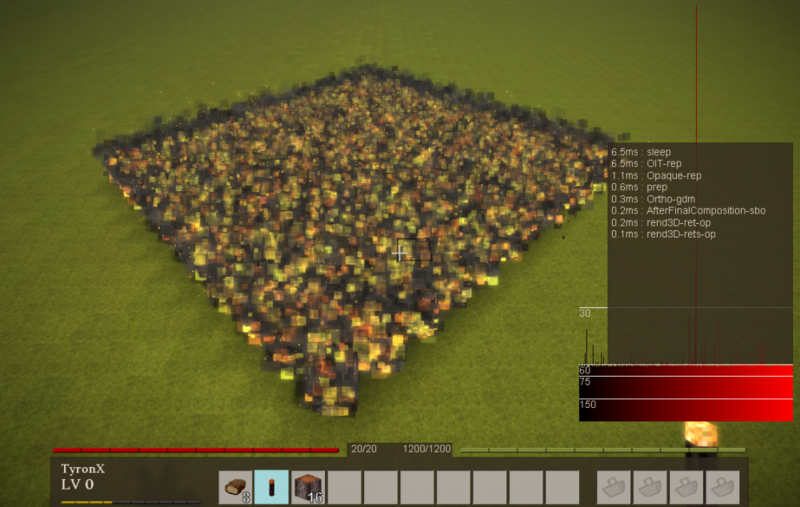 An ore blasting bomb explosion in the immediate vicinity (< 1.5 blocks) will now instantly kill the player. Explosion range and injury range are now separate. 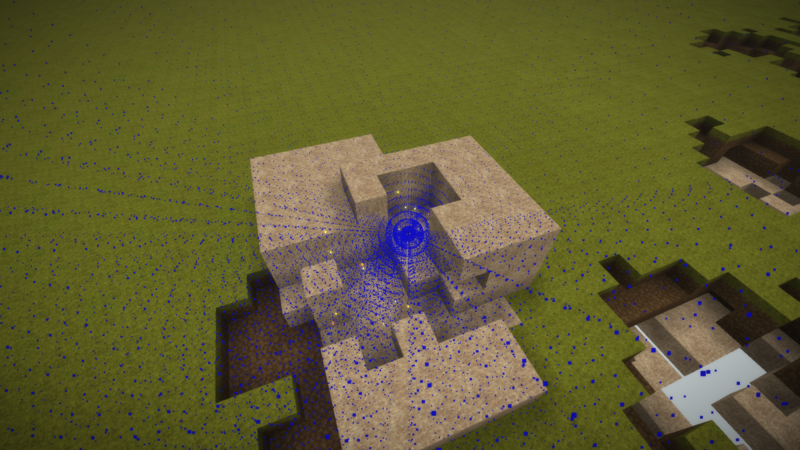 The ore blasting bomb now has an explosion range of 4 blocks and an injury range of 10 blocks. So from now on, when you go blast mining, you better take cover. Tweak: Game no longer crashes when the music and sound folders are deleted. Tweak: /we blu now places all blocks that are also in the creative inventory. /we blu all places all existing blocks. Tweak: Reduced surface copper and flint deposit occurrence by 25%. Reduced size of flint deposits by 25%.